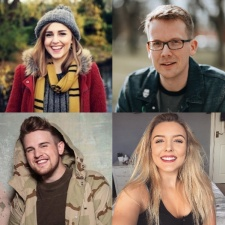 Vidcon has revealed the first load of creators that will be attending the first ever VidCon London event. On February 14th-17th, Viacom will be bringing the popular video festival to the halls of London's ExCel centre. The company has confirmed a handful of well-known creatorsto appear at the event, including vlogger Elle Mills, Vidcon co-creator Hank Green, and U.S based animators TheOdd1sOut. VidCon London will also host a number of popular UK based YouTubers and influencers too. The first announcement included Jack Maynard, Hannah Witton, Jack Howard and Dean Dobbs. The event will also have separate creator and industry tracks with a number of keynotes, panels and talks across the weekend. The full list of creators from the first announcement is below. Tickets are available on VidCon London's site.